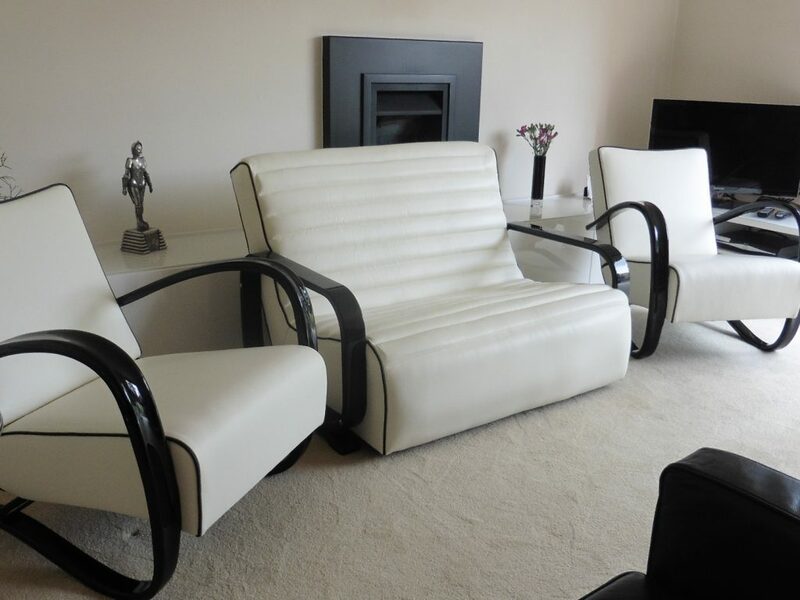 Earlier this year, we were lucky enough to be involved in the refurbishment of this beautiful Halabala chair and sofa for our client in Chelmsford, Essex. 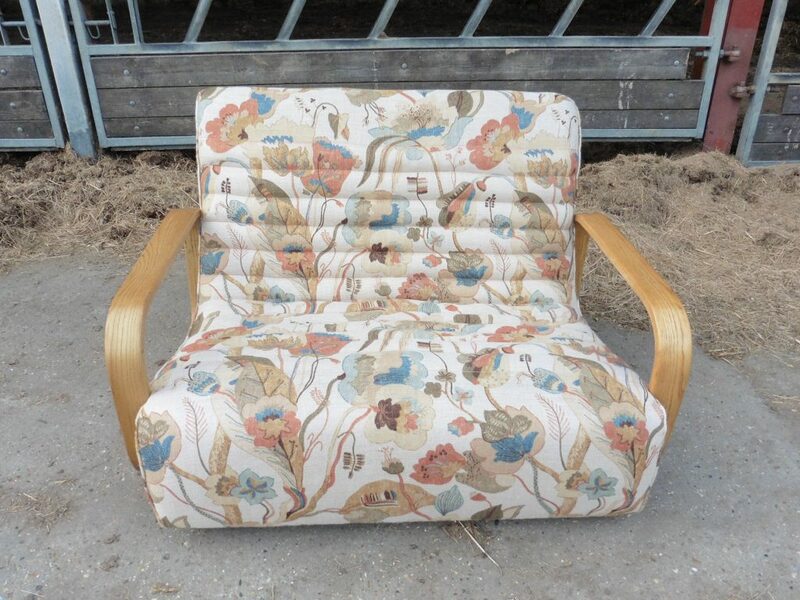 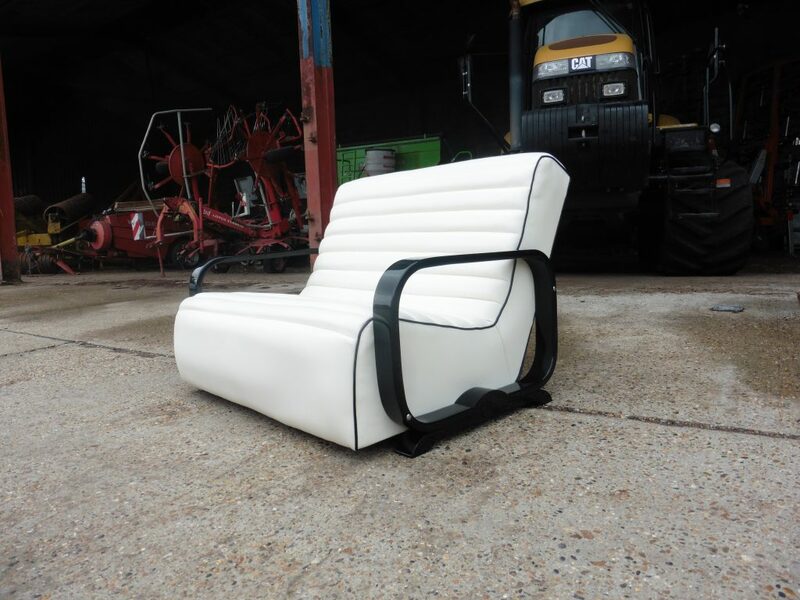 The furniture dates back to the 1930s, originally designed by talented Czech designer Jindrich Halabala. 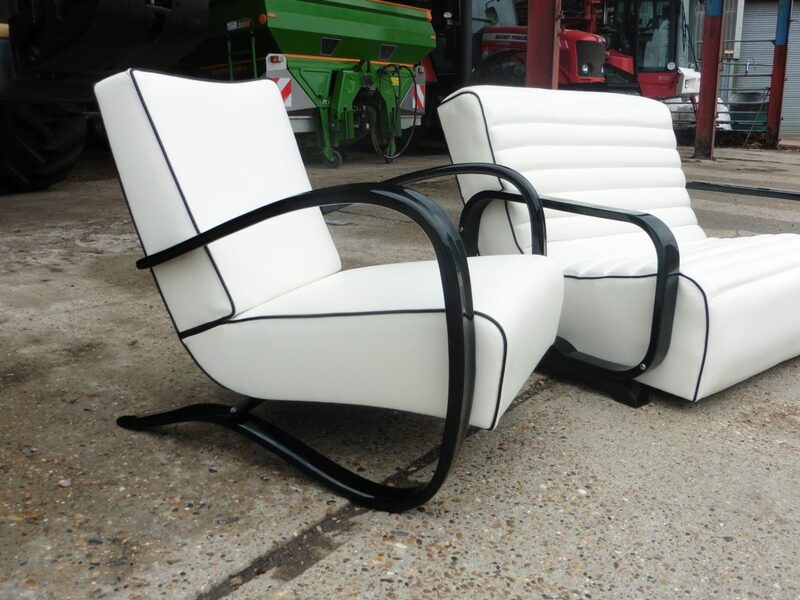 Our client chose a white leather from Futura with black leather piping to compliment the newly varnished arms. 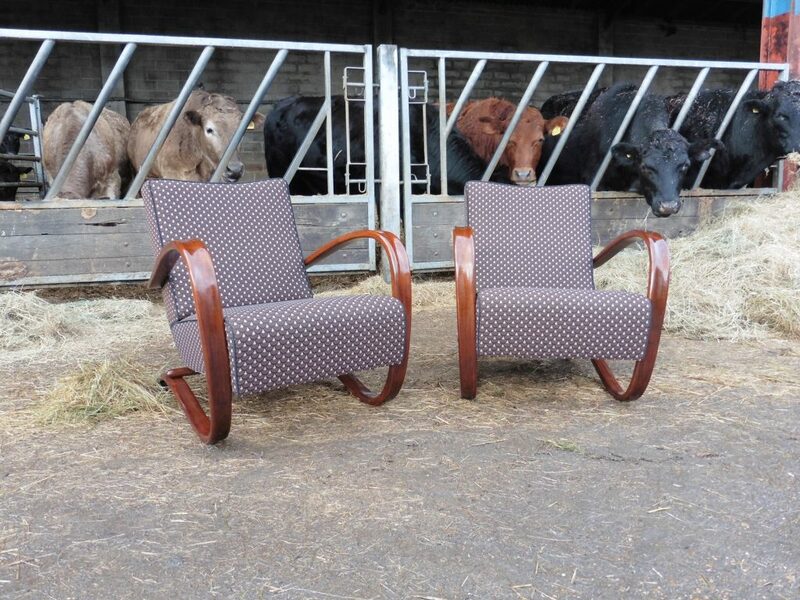 Great looking chairs.